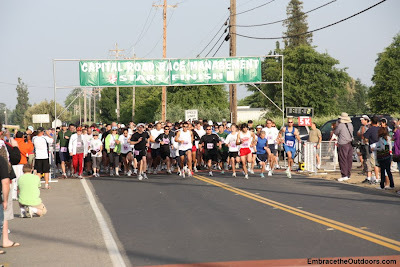 We ran the Avenue of the Vines 5k at Woodbridge Winery in Lodi today. We headed out very early since the race started at 7:15am. There was also a Half Marathon race that started at 7am. Being early, there was ample parking at the parking lot nearby. People who arrived after the lot was full were able to park along the street sides. The entry fee included the usual cotton t-shirt, wine glass, goodie bag and entry into the afternoon wine tasting with lunch. The Half Marathon racers received a technical t-shirt instead of cotton and a finishers medal. Chip timing was used for both races and they both started right on time. The 5k race route was an out and back on flat streets surrounded by grapevines. The route for the Half Marathon was a loop course on flat streets surrounded by grapevines and mustard seed fields. Weather was just slightly cool to start and just a bit warmer as the morning went on. It was great weather for a race. There was one water station on the 5k race and a mile marker at the 1 mile mark. Water and an energy drink were available after the race, but no postrace snacks which was disappointing. There was no race day registration, but race packet pick-up was very organized. Overall a nice course with good weather, just missed those post-race food goodies! We did about a 2.5 mile hike while in Mt. Madonna. 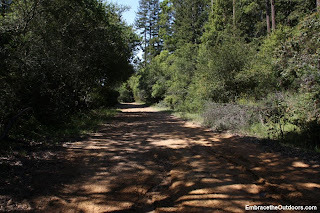 We drove towards the ranger station and parked in the lot at the Lower Miller Trailhead. 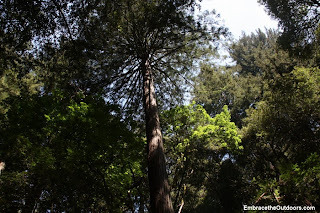 We headed out on Lower Miller Trail until we got to the beginning of Mount Madonna's Miller Estate and Nature Walk. We took this nature walk trail and followed sites number one through eight. 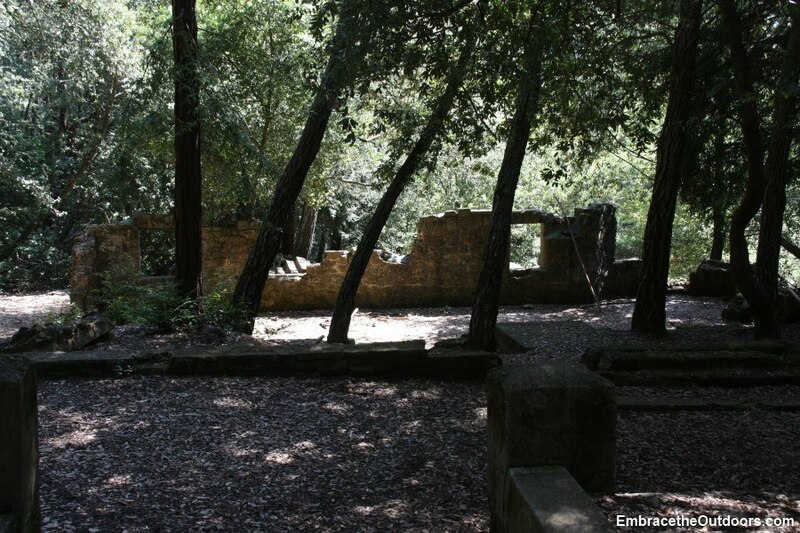 This allowed us to see what is left of Henry Miller's Summer Home which was occupied by his descendants until 1922. Henry Miller was originally a butcher from Germany. Once in California he became one of the largest landholders in the US by owning ranches throughout California, Oregon and Nevada. Most of the land was used for cattle, sheep and pigs. 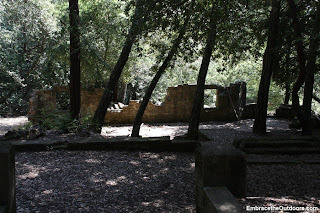 After spending time exploring the remnants of the estate, we continued on Lower Miller Trail. We then took Loop Trail to Iron Springs Trail. We could hear just a faint sound of water running through the springs but never actually saw the water. 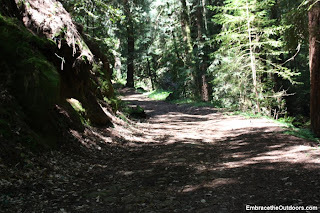 We then took Blue Springs Trail which had us walking through part of the Archery Trail. We didn't see any archers but were still cautious enough not venture off the designated trails. We took Upper Miller Trail back towards the parking lot. Up until this point most of the hike was shaded and cool. Once on Upper Miller trail though, the trail was more exposed and we were glad it wasn't a hot day. We saw a few banana slugs on our way back. Before arriving at the car we took a short detour by the Ranger Station to see the White Fallow Deer. The hike took us about an hour and a half. 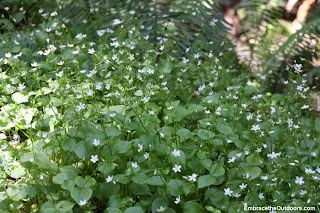 We plan on going back and maybe hiking by the Sprig Recreation Area. We went camping at Mt. Madonna County Park. The park is only 10 miles west of Gilroy on Highway 152. 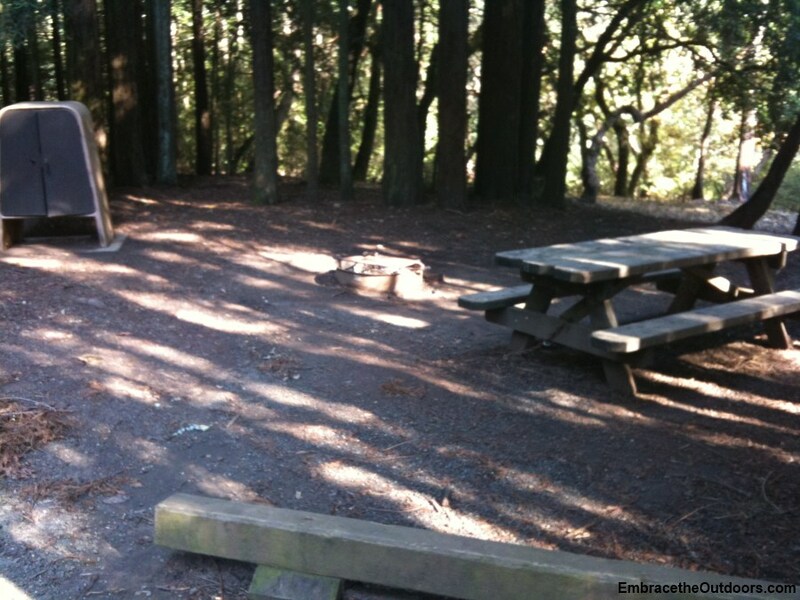 The park has 118 campsites with the usual fire pit, food locker and picnic table spread out through 4 campgrounds. The are 17 sites with partial hookups for RV's. Also this year they have added Yurts. Yurts are circular domed tent like structures with a wooden floor and canvas sides. 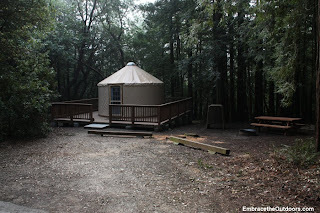 We took a look at the yurt on the site next to us. It had two sets of bunk beds and a couch. Bathrooms with flush toilets are located in each campground. And there is one central building for showers.We weren't sure whether we were going to be able to go camping or not so we did not make reservations. We could tell that from the reservation website, that we would have no problems getting a first come first serve site. We arrived around 4:30PM on Friday. We checked with the ranger at the gate who sent us in to pick a campsite that was available. 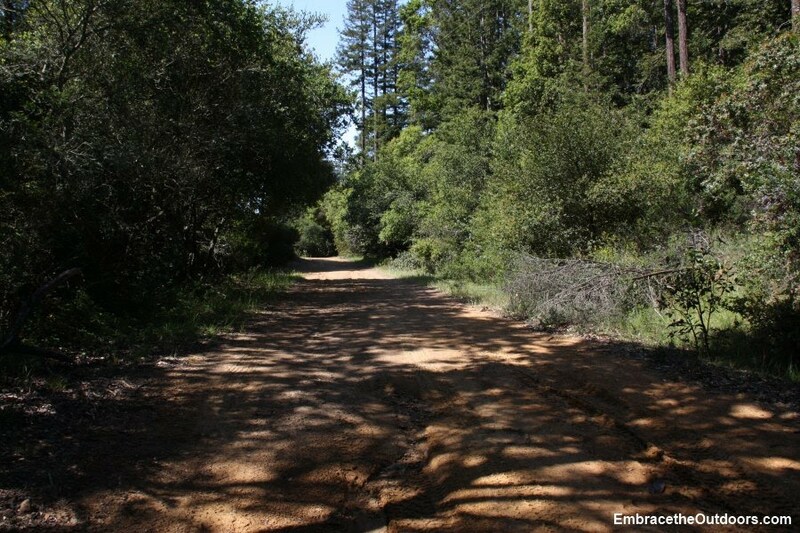 We simply headed into the first campground which was Valley View 1. Valley View 1 has several RV sites at the front, and the back loop is tent sites intermingled with sites that have yurts. We chose site 124 for no particular reason. We weren't picky since all the sites had shade, there weren't many people around and we were only going to stay for one night. We went back to the gate to tell the ranger the site we wanted and paid the $24 camping fee. The rest of the night remained quiet as there were very few campers in our area. 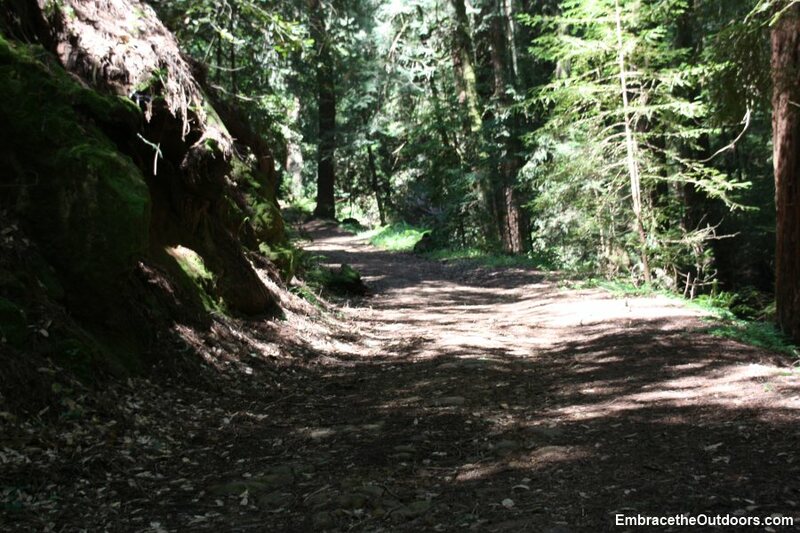 Mount Madonna has 14 miles of hiking trails. 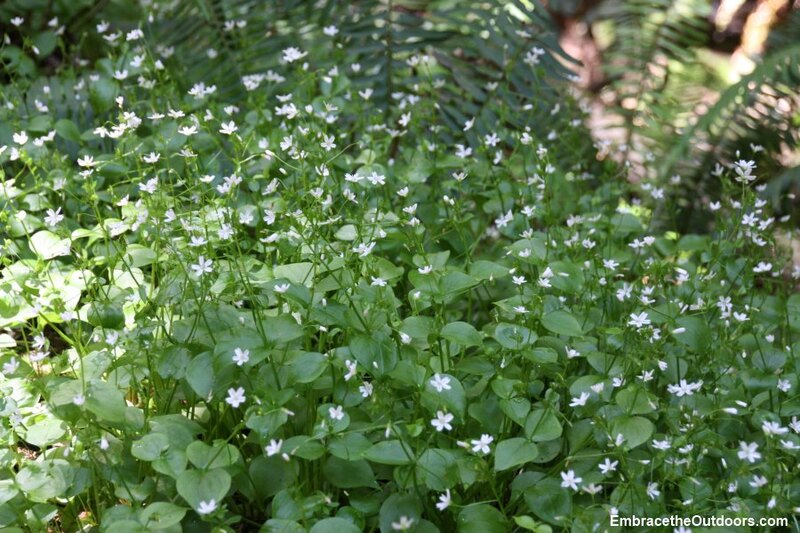 There is a 1 mile nature trail around the ruins of Henry Millers summer home. There is an archery range along one of the trails. 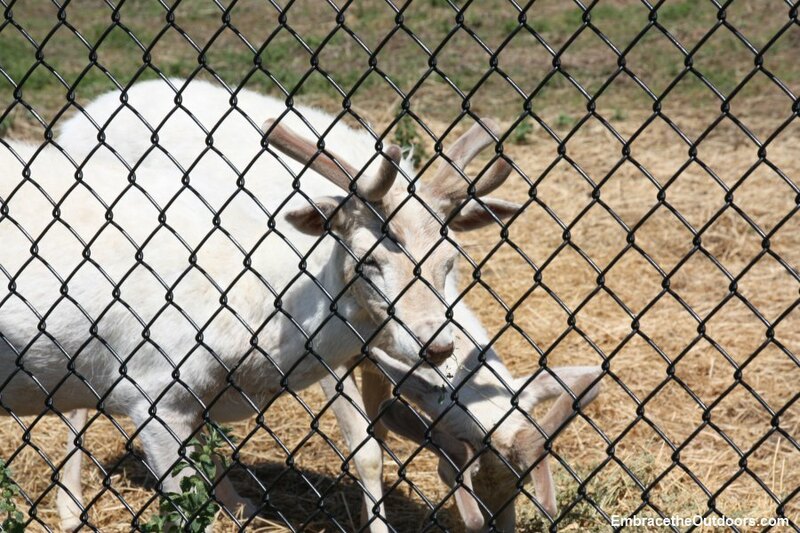 The other thing to check out is the rare white fallow deer. 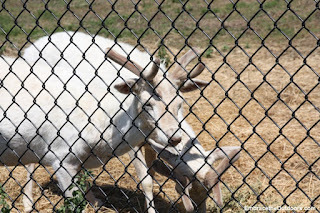 They are kept in a deer pen near the visitor center. We really liked Mt. Madonna, especially how easy it was to get to. 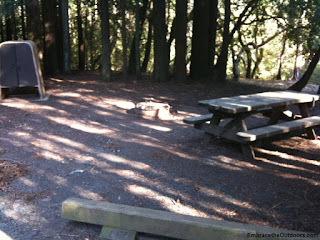 We will certainly be camping there again sometime in the near future.